The 12 starting characters for Blizzard’s Overwatch. Blizzard is a company that is seeking to reach outside its traditional cash cow and find new ways to remain relevant on the gaming radar. The Diablo games will probably always make money, because they are excellent and retain a whole lot of play value long after their release, but the company’s money-printing machine is looking to be running slowly out of steam. World of Warcraft is down to 6.8 million subscribers, down from 12 million at its heyday, and no amount of alcoholic pandas seems like it will reverse that course in any meaningful way. So it’s time to try something new, and that something new has been announced. 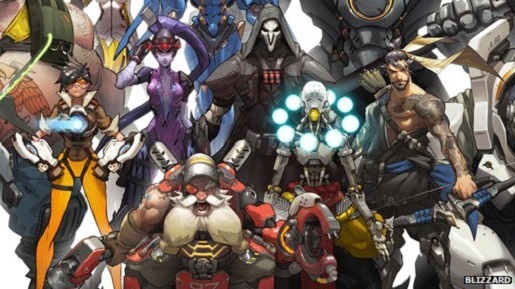 Blizzard has announced their next game, Overwatch, a shooter game that is wildly different from everything Blizzard has traditionally done. Here’s the trailer, check it out. Also, tell me you wouldn’t watch a TV series based on this cinematic, if not also play the game. Pretty fun, right? It’s a huge departure from Blizzard’s traditional style, which is fantasy games in fantasy settings. It’s near-future, it’s combat-based, and it looks pretty fun even if I would be hopelessly outmatched playing as anything other than the gorilla. I mean, I’d still be outmatched playing as the gorilla, but at least I’d look awesome. Not that you see yourself much in team-based first-person shooters, but hey, I’d know I’m cool, and that’s all I need.